A Few months ago we talked about different strategies for dealing with TV audio issues if you were having problems. As I said before, I see many people with quite mild hearing losses that have some problems in some situations. The problems, or the hearing loss don't really necessitate hearing aids, however, they are problems nonetheless. We spoke about how the Sennheiser RS 5000 system could help in the article "Can't Hear The TV, When Hearing Aids Aren't The Answer". 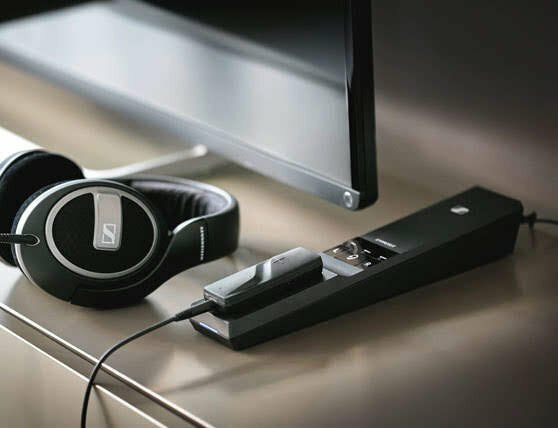 Today I would like to take a look at a similar, if different offering from Sennheiser, the Flex 5000 digital wireless system. The Flex 5000 system consists of a base station transmitter which is also a charger unit for the wireless clip on receiver. The base station can connect to your TV or other audio source and the wireless receiver sits onto it to charge. 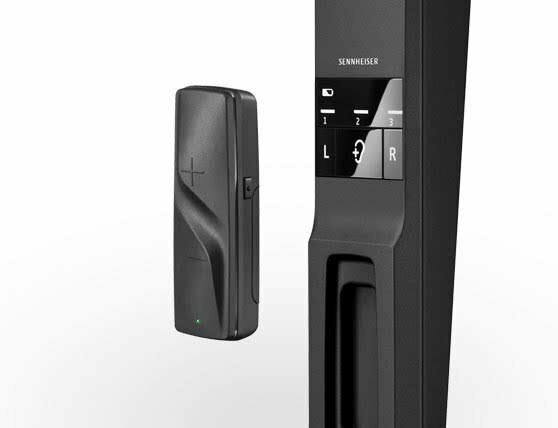 Like it's brother the RS 5000, it is a particularly smart piece of kit that Sennheiser have designed to help people who have difficulty hearing the TV clearly. As with the RS, the unit uses a new TV Speech Intelligibility feature to deliver better clarity for people with mild hearing loss. The feature works by making speech easier to understand. They have designed it to dynamically reduce that irritating background audio that interferes with the spoken word. The system is easy to set up and use and offers outstanding audio quality. The set up is pretty easy, plug the base station into a wall socket and connect your TV to it. You have a choice of connections included and it will connect with both digital and analog TV outputs. I used both the analog connection with the included 3.5mm cable and the digital audio connection. Both connections delivered pretty outstanding audio quality. I used several inputs including the TV, my stereo system and even my Android phone. The clip on receiver unit is light weight and allows the connection of any headphones. While the included MX475 earphones were pretty good, I connected a set of Sennheiser headphones I have to the unit. This is the beauty of the Flex, you can connect any headphones to it. The receiver allows you to hear the transmitted audio within a range of up to 30 m. I tested it out walking around the house, into the front and back garden and got no audio drop out. As with the RS 5000 it will also deliver up to 12 hours of playing time. The receiver is ultralight. it has an auto off function and when not in use, it just switches itself off. You can also adjust the volume of sound on the receiver and change your hearing profiles. The Flex 5000 offers three hearing profiles to choose from, which deliver clearest speech and a great music. You can also adjust the left and right volume separately for a pleasant and balanced sound. As with the RS I looked at, I think this is a great feature for someone who has an asymetrical hearing loss. So first of all, it was easy to set up and I had it up and running in a couple of minutes. It is light and comfortable and I wore it for hours without any issues. This profile boosts low frequency sounds and takes the edge slightly off high frequencies. This profile is a great one for music listening, gave me plenty of bass and a full sound. They have set this listening profile to boost high frequencies quite strongly. It delivers brilliance in sound providing exceptional clarity. In speech situations it delivers clear high frequency speech sounds. In music, it gives music real crispness, this is an exceptionally good profile for people with mild high frequency hearing loss. It will deliver the speech input they need and correct music somewhat for them. This profile lowers low frequency sounds, acting in a similar way to a noise reduction system. This reduces the chance of low frequency sounds masking the high frequencies. This allows high frequency sound to be clear. As with my earlier experience with the RS 5000, I was happy with the profiles and they did exactly what they said. 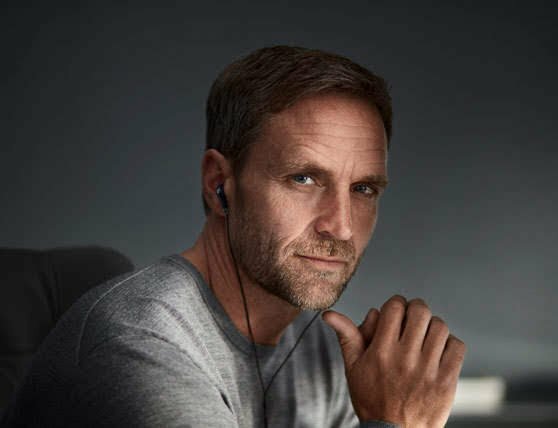 I listened to some music without any of the hearing profiles and was impressed with the sound quality. Although you would expect that from a brand like Sennheiser. Hearing profile one really delivered a nice music experience. the bass was great while the treble sounds remained clear. Although my wife is not happy with my rendition of Queen's "Don't Stop Me Now". Apparently I sound like a bag of cats in serious distress. The two hearing profiles also delivered. I used hearing profile one during a couple of TV programmes that were primarily speech based. It ensured that speech was crisp and clear even when heavily accented. I used both hearing profile two and three during a couple of films and TV shows. To be honest I was happy with both. But, I could see where hearing profile three lowered the background sound allowing speech to be clearer. It did so without making the sound un-natural in anyway which was also great. People with mild hearing loss still have problems with audio. While a set of hearing aids may not be a solution, they could still do with some help. I think the Flex 5000 and the RS 5000 are great devices for people with mild hearing loss looking for a solution for the TV. You can listen to your TV programmes at your own volume without interfering with anyone else and they are a financially manageable solution to your main problem. In finishing, this is definitely another device that I will add to my growing list to discuss with people who have mild hearing loss and problems with the TV. The Flex 5000 can be purchased on Amazon for as little as £179 and the RS 5000 can be bought for £229.